iOS Update: How to Update iPhone to iOS 12? At the WWDC 2018 Apple Developer Conference, Apple officially announced the upgraded operating system for iDevices - iOS 12 at June 4, 2018. The new iOS 12 system has been added various new features, such as FaceTime Group Chat, Memoji, Parental Control, etc. And the beta version of iOS 12 started to be available at the end of the conference. At Apple Special Event on Sept 12, 2018, Apple anounced that the official version of iOS 12 is available on September 17. So how to upgrade to iOS 12? Take a look at the iOS 12 upgrade tutorial here. Part 1. Should I Upgrade to iOS 12 or Not? Why not? A new iOS update always brings many exiting new features, you are free to have a try. Also Apple claims that "iOS 12 makes your iPhone and iPad more powerful, personal, and intelligent than ever." You can check it by yourself if it is really amazing. Before you make your decision, you can check all you want to know about iOS 12 here, including its new features, supported devices and more. 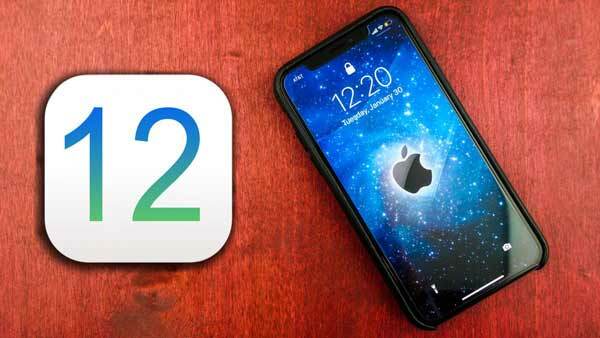 Before the official iOS 12 version is released, the iOS 12 beta version initially has many bugs and some software is incompatible, so it is not recommended to try it for ordinary users, only for developers and a small number of users. Luckily, with the official iOS 12 version, those bugs are supposed to be fixed before it is released. So if you are going to get the new iOS update, please keep reading to get more information. Before updating to iOS 12, please get everything ready as follows. 1. Check whether your iDevice are supported by iOS 12. If your iDevice supports iOS 11, you can upgrade to iOS 12. Below are all iDevices that are compatible with iOS 12. 2. Create a backup of your iDevice. 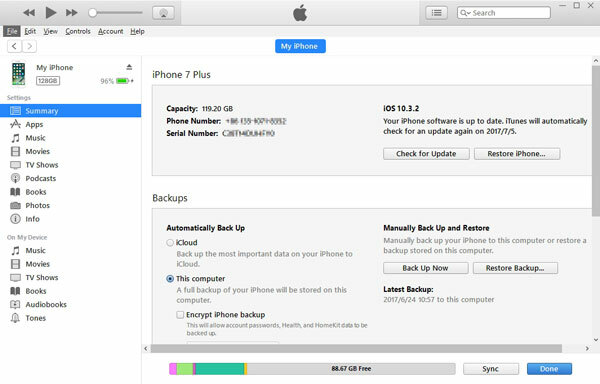 You can backup data on your iOS device to iTunes, iCloud, Windows PC or Mac. 3. Be clear of your passcode. If you have set up a passcode to lock your device screen, please ensure that you know the passcode so as to update to iOS 12. Forgot your passcode? 4. Know your Apple ID. Please make sure you know your Apple ID and password, which is the account that you do everything with Apple, for example, buying apps and music in iTunes Store and more. Forgot your Apple ID or password? You can update your iPhone, iPad or iPod touch to the latest iOS version wirelessly or using iTunes or IPSW file. Wirelessly updating allows you to upgrade your device to the latest iOS version directly on your iPhone, iPad or iPod touch without iTunes. If you can't see the update available on your iDevice, you can manually update your device with iTunes or IPSW file instead. Method 1. How to Get A New iOS Update Wirelessly? When there is an available iOS update for your device, you might get a message telling you that an update is available. Simply tap "Install Now" option to download and install the latest iOS update. If you missed this notification, you can also follow the steps as below. Step 1. Plug your device into power and connect to a stable Wi-Fi network. Step 2. On your iOS device, please go to "Settings" > "General" > "Software Update". Here, if there is an available update, you might see a red "1" notification beside Software Update option. If not, you are running the latest iOS version now. Step 3. Tap "Download and Install" option. If you see a message asking you to temporarily remove apps for iOS requires more space for update, tap "Continue" or "Cancel" option. If you tap "Continue" option, some apps will be removed and then reinstalled later. If you tap "Cancel" option, check how to free up iPhone space without deleting data for updating iOS. Step 4. Tap "Install" option to update now. Or you can also tap "Later" and choose "Install Tonight" or "Remind Me Later" option. If you choose "Install Tonight" option, please plug your device into power before going to sleep, and you device will automatically update overnight. Step 5. If you are asked to enter your passcode, please enter it to complete the update process. If you can't update wirelessly on your iOS device, you can upgrade manually with iTunes on computer instead. Please be noted that if your computer uses a Personal Hotspot on the iOS device you are updating, remember to connect your computer to a different Wi-Fi or Ethernet network before updating. Step 1. 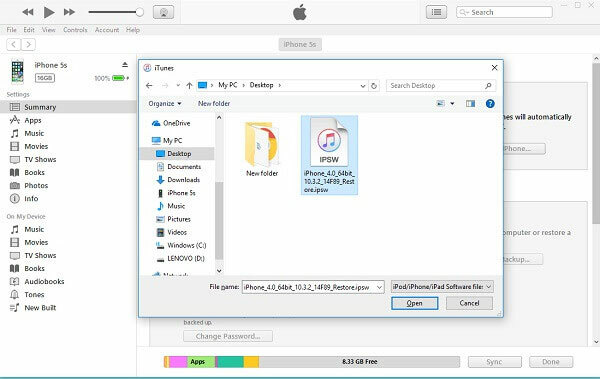 Download and install the latest iTunes version on your computer. 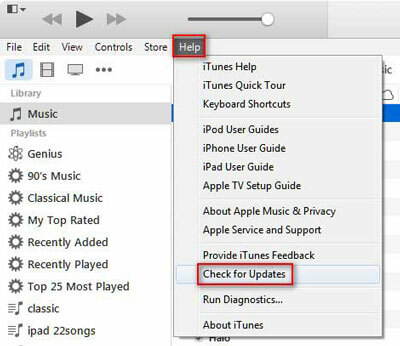 Or if you have installed iTunes on your computer, you can also go to "Help" > "Check for Updates" on iTunes to get the newest version. Step 2. When iTunes is running on your computer, please connect your iDevice to computer with a USB cable. Once iTunes detects your device, please select your device on iTunes. Step 3. Click "Summary" > "Check for Update" > "Download and Update". If asked, please enter your passcode as prompted to complete the update. iPhone won't update? Here's how to fix it. The third method to update to iOS 12 needs you to download IPSW file for iOS 12. See details in Situation 1 from here: updating iOS with IPSW file. iPhone Gets Bricked After iOS 12 Update, How to Fix It?